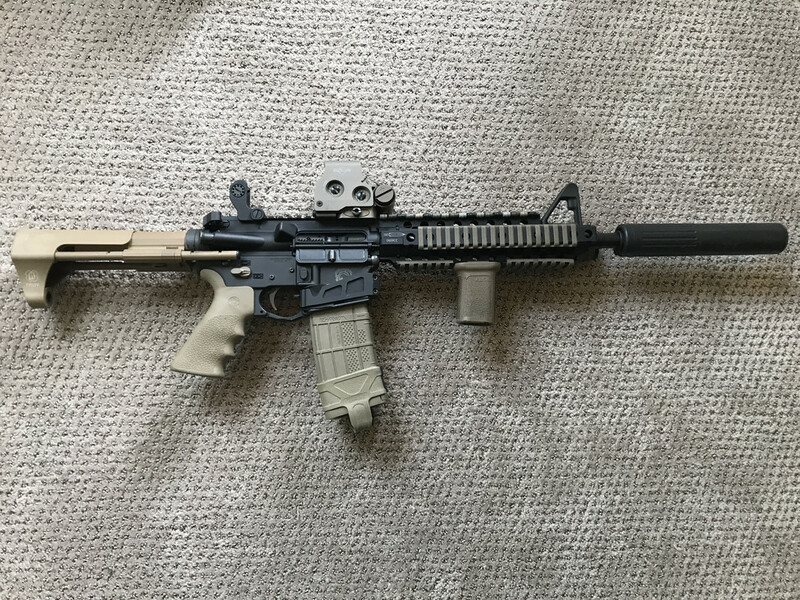 It's been a while since I've posted here - not for lack of building AR's, I just haven't gotten around to posting them here, but hopefully I can get caught up! 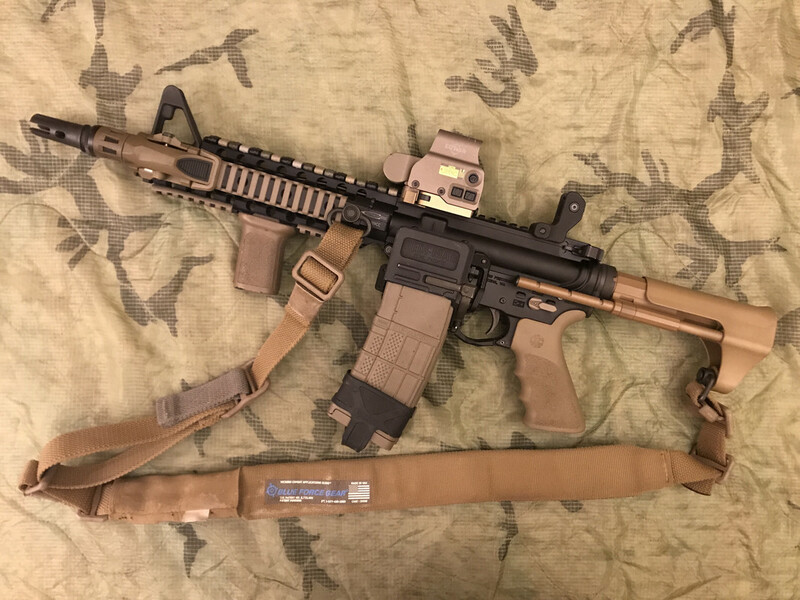 I've been debating doing a build with an FSP upper and this sorta fell into my hands at a great price, and so I thought I'd share. It's a very simple and compact build, many parts I already had on hand, and where I was short on parts i.e. the C4 cutout, I used our E&E to source what I needed. This rifle has excellent balance, the 30 cal 762 SDN-6 does put more weight on the front end, but it is still very agile to handle. I'm planning on an Mini 4 or a M42K in the future instead of the heavier 30 cal can. Big thanks to Euro and SOLGW for helping me source the parts to what is sure to be one of my favorite shooters. Barring a massive downpour I'll be taking it out to see how it runs. I'm not expecting any issues though. Also, I cannot say enough about SOLGW's level of support. I only use quality parts that I know and trust. This is the first time I've used SOLGW, but it will not be the last. I sent the upper to them that I bought from a friend because the FSP was crooked. I was hoping they would fix it for me and as I communicated to them, I was willing to pay for that work, since I didn't know how it had happened. They did not fix it for me. They sent me a brand new upper receiver, barrel, barrel nut, nitride gas tube and brand new FSP. That just blew my mind. Talk about a committment to stand behind their products and put the customer first. I am nothing short of really impressed with them and they have earned my business. I know it will shoot great. Nice looking build! I'm interested to hear your results on how it shoots. Also thanks for posting about SOLGW. I've yet to do business with them but would not hesitate to do so after reading your experience. Looks great. I've just started incorporating SOLGW parts (mostly BCG components so far) into my builds lately, at some point I intend to give one of their barrels a try. I messed around with the similar Troy Airborne stock a bit (I think it's pretty much the same thing as the Tomahawk, just made to go on a standard receiver extension) and found the safety more difficult to manipulate with the strut for the stock right above it. Have you run into this as well? I would assume one could get used to it after sufficient practice but I was, and am, too enamored with my old CAR stocks on my carbines to really give the Troy stock a truly fair shake. Troy makes an angled safety as a workaround for this, although I haven't personally tried it. Thanks man. I paid particular attention to using the safety selector since I read your reply right after I got out to the land I shoot on. My takeaway is that the type or brand of selector switch is a key difference when it comes to flipping the lever in that tight space, or having issues. I tested it with the struts past the selector switch and with the Talon safety, I was able to flip it back and forth without making any changes - or that's how it felt. My normal LoP is locked at the 2nd to the last position and at that point it's above and behind the safety selector, and was not a factor at all. 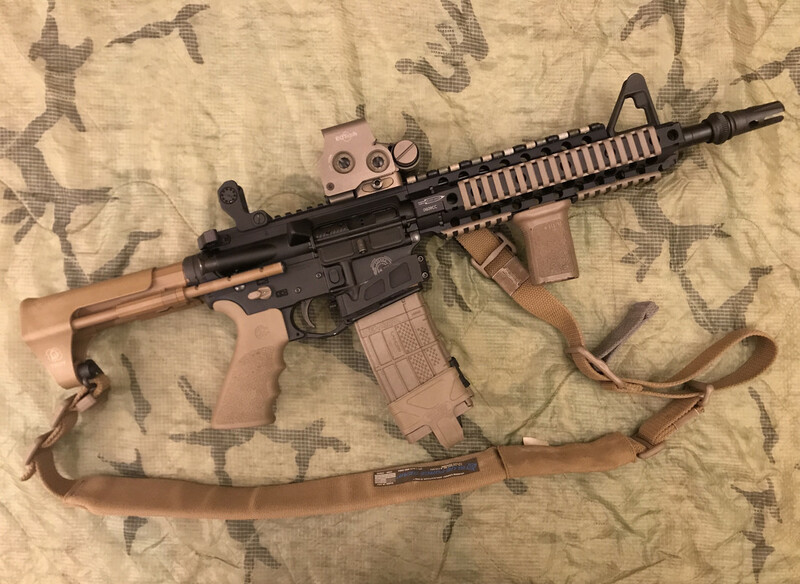 With the stock collapsed, I ran about 8 short loaded mags through and didn't have an issue flipping to safe/fire between mag changes and I had on gloves (Oakley leather but not too thick). I can definitely agree that it's a tight fit, but back to the point about which selector switch you use, the Talon has a thick lever and it's gradiated so your thumb gets a good enough purchase on the lever even with gloves. Yep, definitely a super positive experience. I wasn't able to check accuracy yesterday, mostly because it was more function testing. I ran several mags through it and it ran great! I will definitely source parts through them. (and you of course! I think I'll take a look at their BCG's next. Based on Circle 10's comments. Another sweet build Robert! I used the same handguard on one of my M4 builds, and without a doubt it is my favorite drop in handguard. Last edited by Hammer_Man; 04-16-19 at 11:56.